Fashion label Drop Dead will release a first-time boutique apparel collection featuring Itchy & Scratchy this spring. 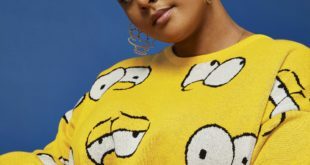 Drop Dead, Uniqlo and Eleven Paris have signed to become the next partners to release 2014 apparel collections celebrating the 25th anniversary of The Simpsons. Fashion label Drop Dead will release a first-time boutique apparel collection featuring Itchy & Scratchy this spring while Japanese designer and retailer Uniqlo and French brand Eleven Paris are also releasing first-time collaborations in the spring. Elsewhere, A Bathing Ape will create a wide variety of apparel and accessories for men, women, and children including varsity jackets and snapbacks available Spring 2014 in A Bathing Ape store locations and online. Drop Dead’s apparel collection will feature t-shirts, sweats, leggings, knit pullovers, hoodies and bags focusing on Itchy & Scratchy, available in store and online in May and June 2014. The second Simpsons and Joyrich apparel collaboration features street-inspired fits with Bart Simpson prints, such as varsity jackets, oversized tees, sweats and accessories available in Joyrich stores worldwide and online now. An exclusive t-shirt collection from Theadless has been designed by artists and fans from around the world. All 29 designs are available now on Threadless.com. 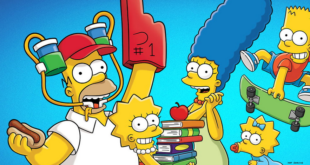 Additional partners include H&M expanding its Simpsons line for adults and kids, Topshop and Topman launching its Summer 2014, and Zara and Zara Kids.